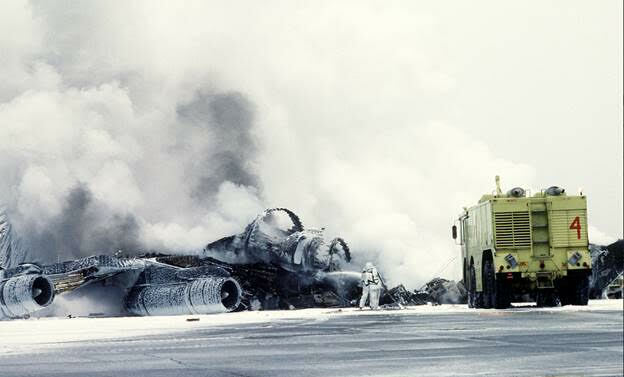 Air National Guard Base, Michigan. PFAS found in drinking water near Battle Creek National Guard Base. America is experiencing one of the greatest public health crises in its history with up to 110 million people potentially exposed to drinking water contaminated with Per and Poly Fluoroalkyl Substances, or PFAS. 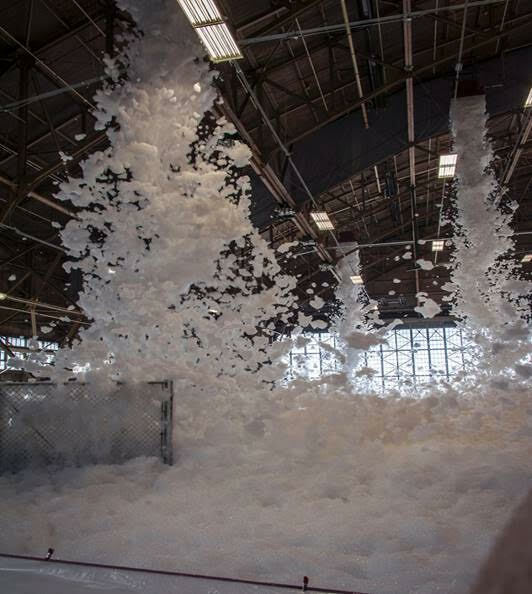 A major source of the chemical contamination comes from the aqueous film forming foam (AFFF) used in routine fire-training on military bases. 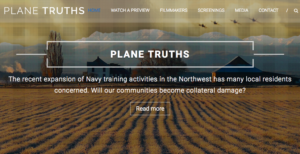 The military allows the poisons to leach into the groundwater to contaminate neighboring communities which use groundwater in their wells and municipal water systems. 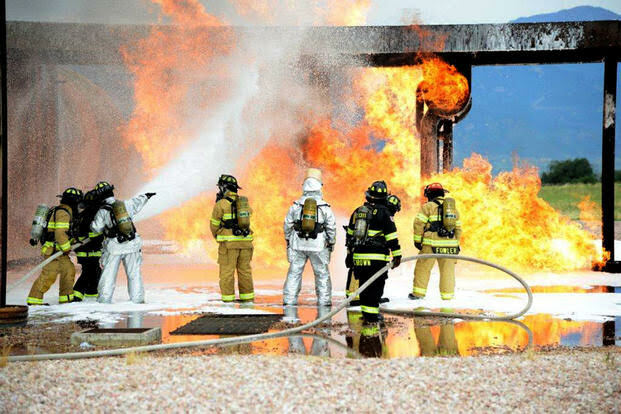 Meanwhile, the Air Force won’t reimburse three Colorado communities for the money spent responding to water contamination caused by toxic firefighting foam. 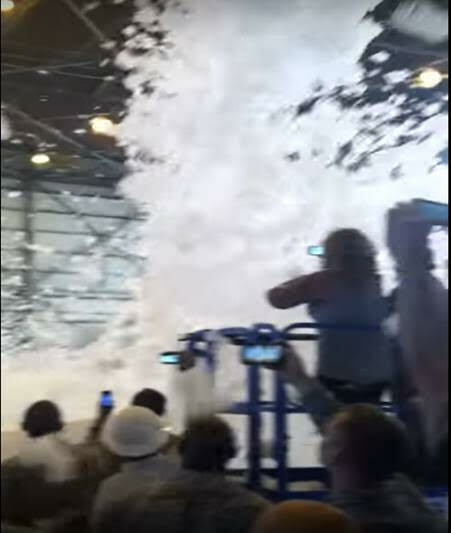 The AFFF was previously used at Peterson Air Force Base, potentially leaving the towns with an $11 million tab. 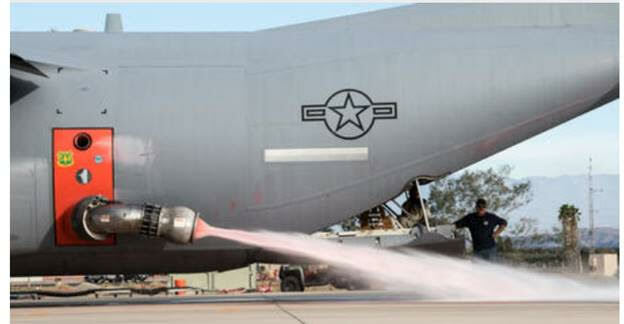 The Air Force claimed other sources likely contributed to the aquifer’s contamination, though none has been identified. More than 3,000 harmful PFAS chemicals have been developed. Two of the deadliest are Perfluoro Octane Sulfonate (PFOS) and Perfluoro Octanoic Acid (PFOA). They’re extremely useful in extinguishing super-hot petroleum fires. PFOS & PFOA are known as the “forever chemicals” because they do not naturally degrade in the environment. 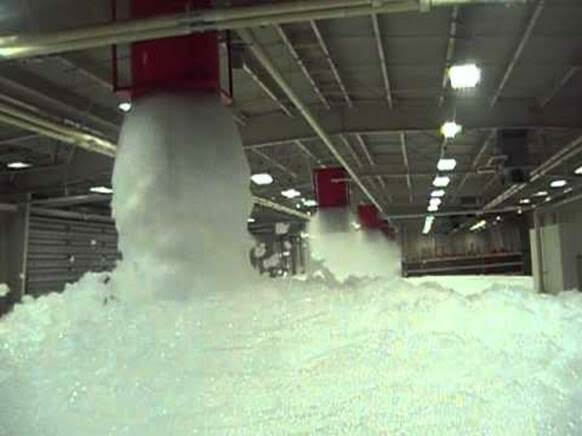 The military branches are in the process of switching to other slightly less lethal fire-fighting foams. 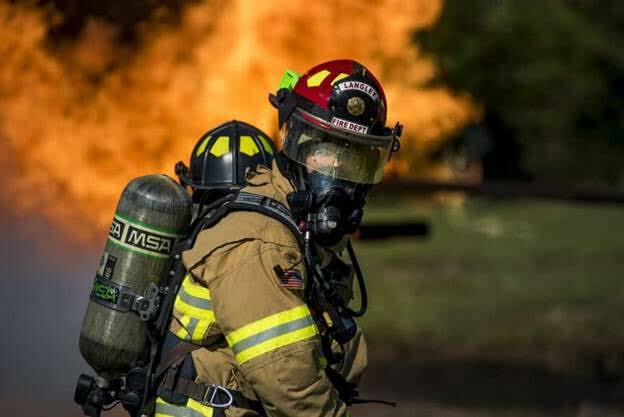 The EPA continues to allow deadly PFAS contaminants to be used while Harvard scientists say 1 part per trillion (ppt) is likely to be harmful to human health. The EPA’s combined Lifetime Health Advisory (LHA) limit for both chemicals is 70 ppt while the Agency for Toxic Substances and Disease Registry (ATSDR) has set lifetime drinking water levels of 11 ppt for PFOA and 7 ppt for PFOS. 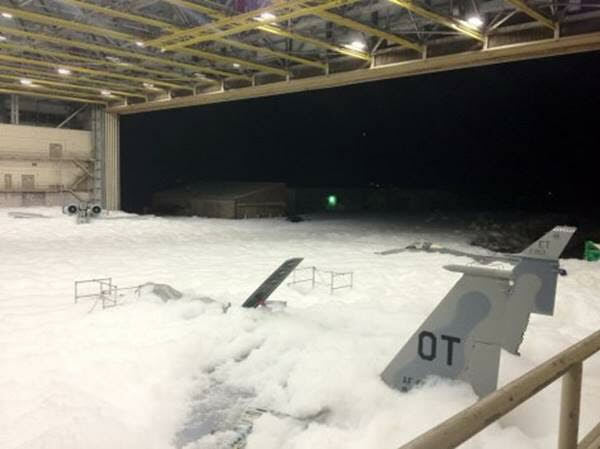 The following photo essay endeavors to associate routine AFFF exercises on military bases with heightened levels of poisoned groundwater in adjacent communities. The amount of PFOS/PFOA contamination in groundwater wells is taken from this DOD report. Remarks made by the DOD in the report are also included. 88,400 ppt (PFOS+PFOA) detected in groundwater. DOD Comments: Private well owners provided under-sink (kitchen) reverse osmosis (RO) units. Bottled water is being provided to employees of a shopping center. Low-flow granular activated carbon (GAC) systems installed at one (1) mobile home park and one (1) farm house. One local church was connected to city water. Bottled water is being provided to 52 units in another mobile home park. In October, 2016 more than 150,000 gallons of the firefighting chemicals were released into the Colorado Springs Utilities sewer system. 280,000 ppt (PFOS+PFOA) detected in groundwater. DOD Comments: Completed the base-wide Preliminary Assessment and received regulatory concurrence on the findings. Initiated a base-wide Site Inspection for PFOS and PFOA. 2,200,000 ppt PFOS+PFOA detected in groundwater. 551,000 ppt PFOS+PFOA detected in groundwater. DOD Comments: Completed a limited Preliminary Assessment/Site Inspection for PFOS and PFOA received regulatory concurrence on the findings. Initiated a Remedial Investigation at the former fire training area and completed the first phase of fieldwork in Summer 2017. Initiated a base wide Site Inspection. 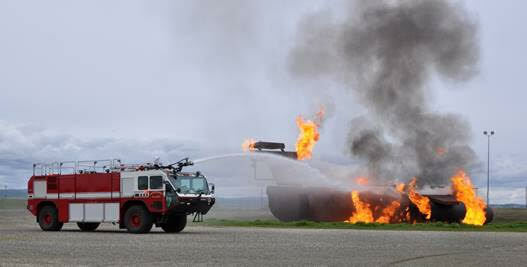 A routine test of the AFFF system at Fairchild Air Force Base, Washington, April 8, 2015. 5,700 ppt (PFOS+PFOA) detected in groundwater. DOD Comments: 43 out of 104 private drinking wells, and 1 of 2 public water systems exceeded the LHA at Fairchild. Negotiate MOU with local municipality; potentially install GAC filtration on public DW water system; ECD -to be determined. Install whole house filtration systems in residences with affected private Drinking wells. 40,000 ppt (PFOS+PFOA) detected in groundwater. 1,397,120 ppt (PFOS+PFOA) detected in groundwater. 2,000,000 ppt (PFOS+PFOA) detected in groundwater. – U.S. Air Force photo by J.M. Eddins Jr.
1,080,000 ppt (PFOS+PFOA) detected in groundwater. 200,000 ppt (PFOS+PFOA) detected in groundwater. 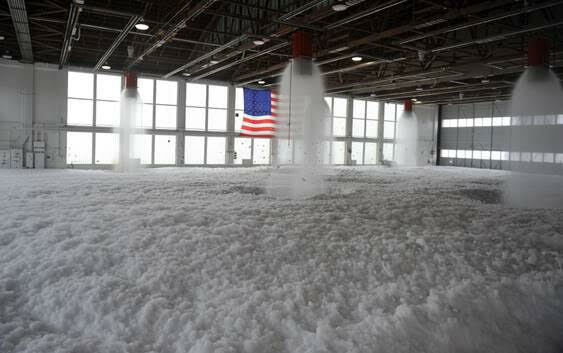 A routine foam test at Mountain Home AFB. Unusually low 105 ppt (PFOS+PFOA) detected in groundwater. DOD Comments: Drinking water sampling and analysis have occurred. Bottled water was purchased as an interim safety measure while the contaminated wells were evaluated, and a plan was developed. How can we make the best argument for shifting from war to peace? 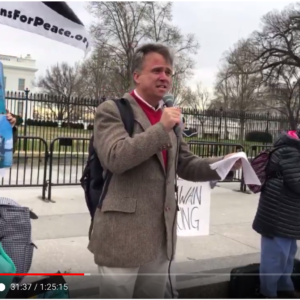 Take "War Abolition 101: How we Create a Peaceful World" to brush up on your talking points. Learn and dialogue with weekly guest expert facilitators from World BEYOND War’s community of activists and scholars. Sessions are not live or scheduled - you take part whenever works for you!